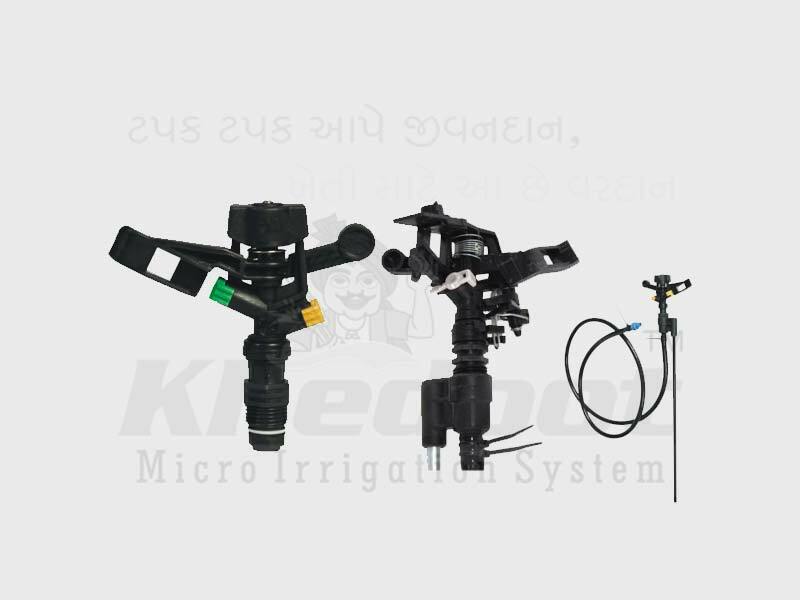 Mini Sprinkler, Drip Irrigation System, Drip Lateral, Inline Dripper and Emitting Pipe Supplier & Distributor in Rajkot (Gujarat), India. Uniform water application maintains optimum soil moisture ratio. Fine droplets and shorter irrigation intervals creates micro climatic conditions, beneficial for crop. Uniform application of fertilizer-even for organic manure application. Being a versatile system, can be used for 2-3 crops each year. Low operation pressure, thus energy saving. 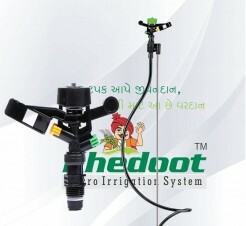 Environment friendly, avoids leaching of soil & fertilizers in ground water. Potato, Onion, Garlic, Ginger, Cabbage, Cauliflower, Strawberry, Groundnut, Mustard, Pulses, Tea & Nursery. Creation of Micro Climatic Conditions.